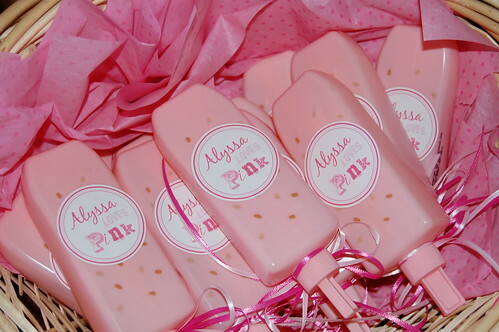 Alyssa's Pink Party will be a day that I will never forget. 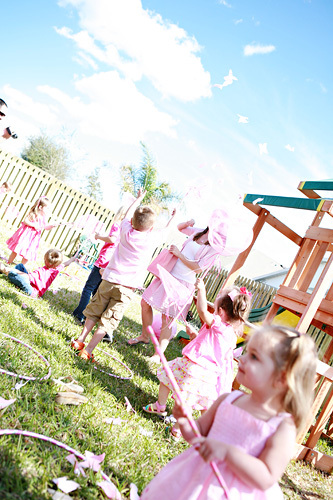 Here a some of the photos of the adorable decorations and smiling faces at the party. Hope you all enjoy them! I sure did. 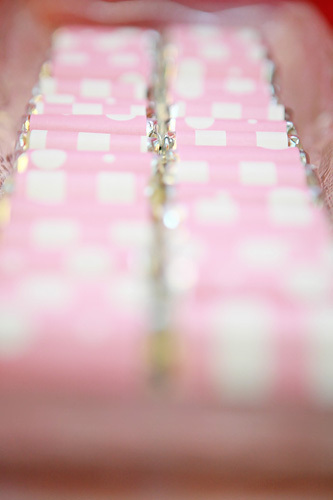 All the perfect PINK candy was purchased from OH NUTS! 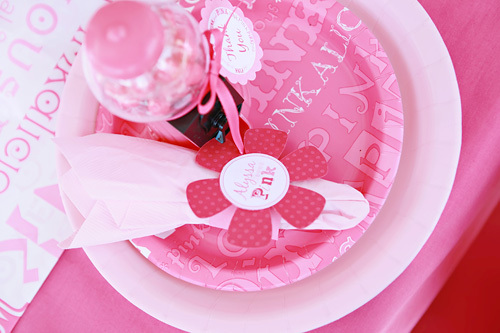 Pretty PINK plates from Shindigz.com! The adorable Birthday girl blowing out the candles. Birthday girl and a few of her favorite boys in front of the photobooth. Here I am letting go of tissue paper butterflies. 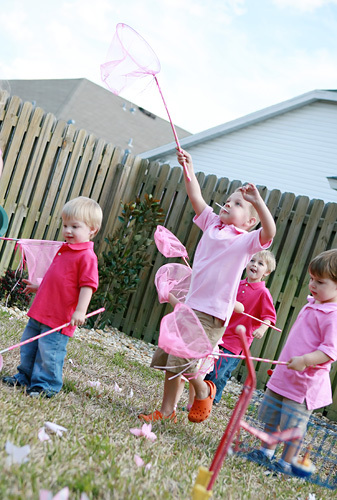 This was priceless to watch the kids go crazy chasing after them with their PINK butterfly nets. The smiles on their faces are forever etched into my heart. This is my favorite shot from the day. For one moment during the excitment I had the attention of my little girl. Happy Birthday Princess! I hope you enjoyed your party! The details were amazing!! So cute! What a gorgeous party, Lindsey! This is SO perfect! You did an outstanding job on every single aspect. It is beautiful. I especially love those gumball machines. Where did you find the gumball machines? This is an adorable party. Really nice job! 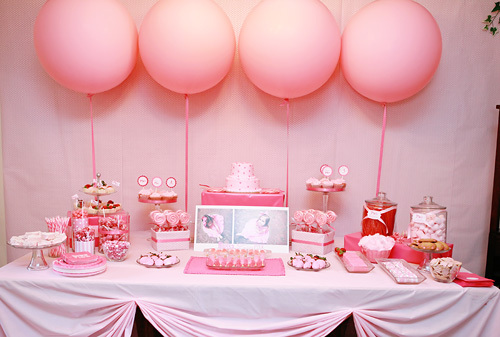 Where did you find the round pink balloons (4) behind the fantastic dessert buffet? OMG this is a WONDERFUL party! 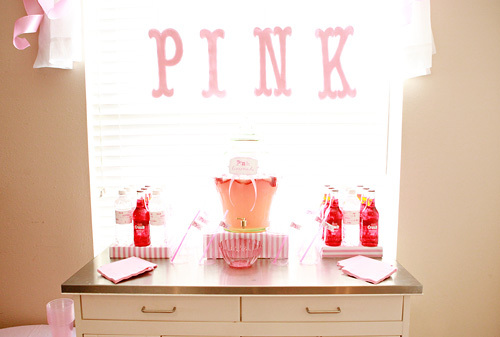 I love that Everyone whore pink... every party detail is perfect! Thanks everyone! The gumball machines are in the Easter section at Walmart and are only $1!!! 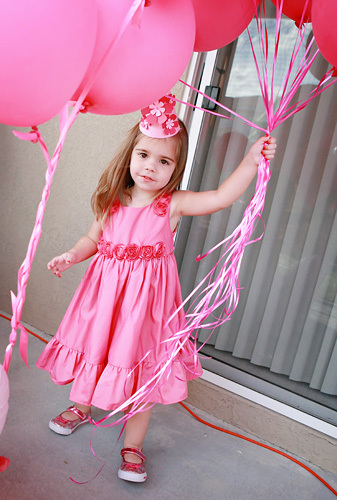 I got the large ballons online at shindiz.com. I am planning on posting next week about some of these details and how your can purchase some of the digital designs. Yay, the details were incredible! 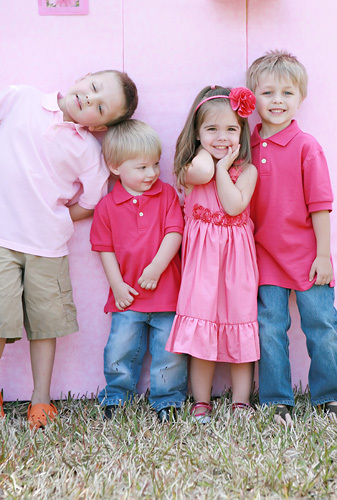 I`m complety overwhelmed with the things you do.. I`m from the other side of the world (Portugal), and i`m a proud mother of 5 year old twin boys. Unfortunately here we don`t have access to the kind of things you have. 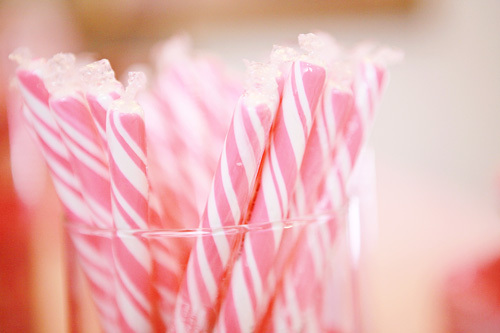 For example, the sugar sticks are only available in white and are extremely expensive! sooooo cute!!! loved all the details!! i'm tickled pink! hehe! I am in LOVE with your party! I wonder if you would tell me where you got your candy? Esp. 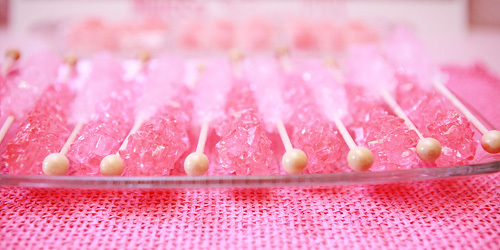 the rock candy. 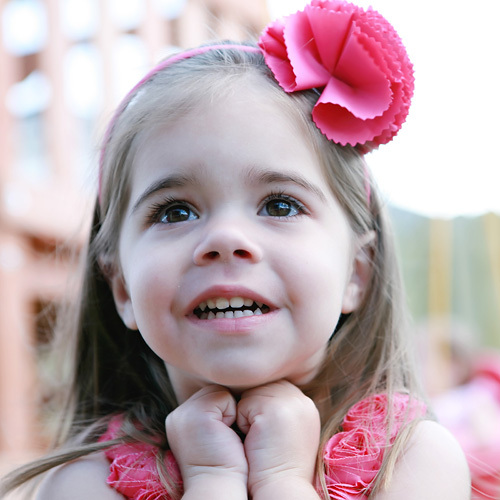 What a beautiful day for your little girl! I ordered most of the candy from ohnutz.com! They have great prices! I have been looking for those large round balloons, are they the 30" ones on Shindiz? I can't find pink, maybe they are just sold out? This is an absolutely adorable party. I love all the pinkness of it. I absolutely LOVE this party! All of the little details are just perfect! gorgeous! 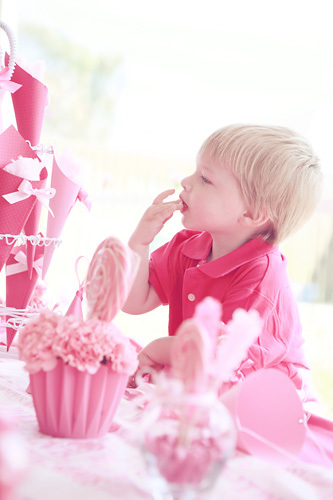 i am working on a pink party for my almost 3 year old pink lover- you really did a fab job- i wouldn't change a thing! 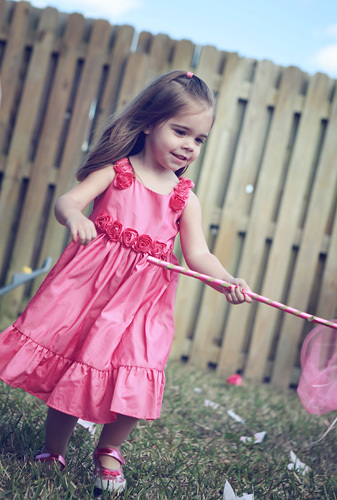 Where did you find her pink dress? I love it!! 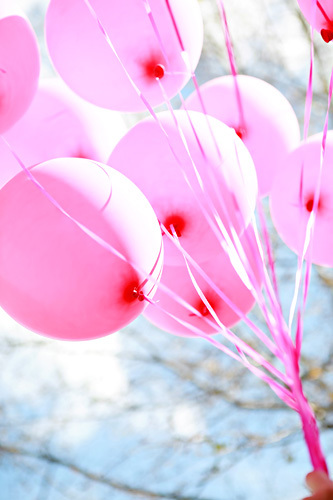 If you click on the drop down box where it says "sale price" you will find the pink ballons there. Also, I actually got her dress at Marshalls for $17!!! Thank you so very much Kim! Its great when you work hard on something and people love it! Keep up the great work yourself! 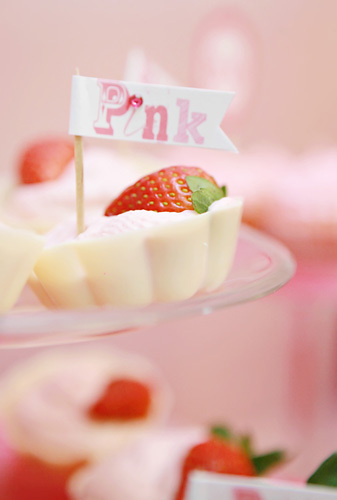 Love the Pink Party! Beautiful details! I love this party!! Everything is so pinkalicious!! I got the PINK plates at shindigz.com as well. 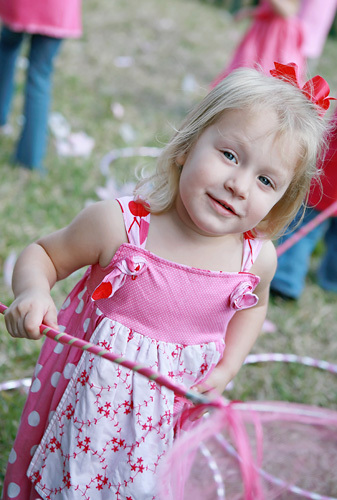 Hi-how did you make the pink butterfly nets?Beautiful party and great ideas! Ilana, I actually got them at the $ store! They also have them in the $ section at Target. Then we wrapped the stick with satin ribbon. Lindsey! such a beautiful party! =) were those mini cupcakes?? 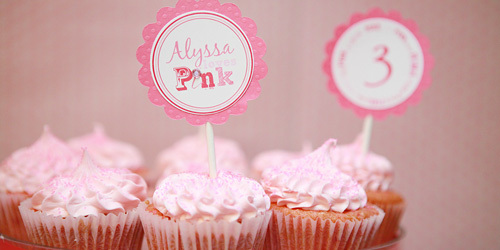 and what size were those scalloped cupcake toppers? (1.5" or 2"?) Gotta go to michaels to buy some craft punches! Hi, I love your party! I wanted to find out how you did your backdrop and the linen on the dessert table. Thanks so much! Reggi, No those cupcakes were regular sized. I used a 2in circle punch and a 2.5 scalloped punch and layered the cupcake toppers. Valerie, The backdrop is actually wrapping paper that I covered the wall with and I gathered the linen and used a needle and thread to sew it together. 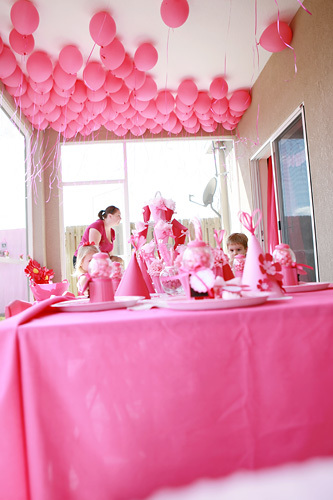 I have taken great inspiration from this party and plan on using some of your ideas for my daughter's upcoming 2nd birthday party. I was wondering if you could offer some directions/suggestions for the butterfly catching game. What are the butterflies made of? Thanks so much! we have lots of the items I used for the party for sale. We also do custom designs! Thanks! 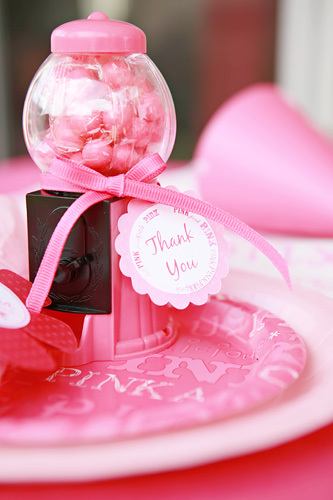 I love your party you did an awesome job!! 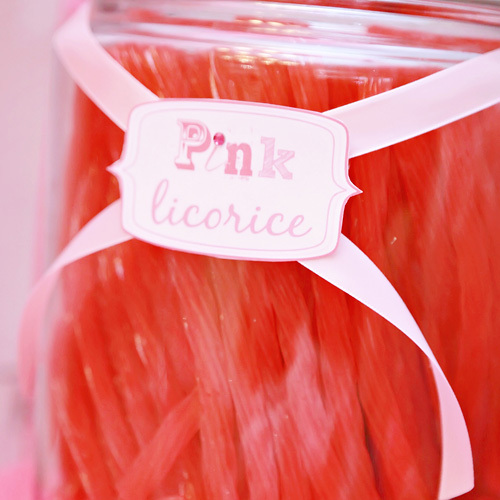 Can you please tell me where you got all your glass jars for the candy? 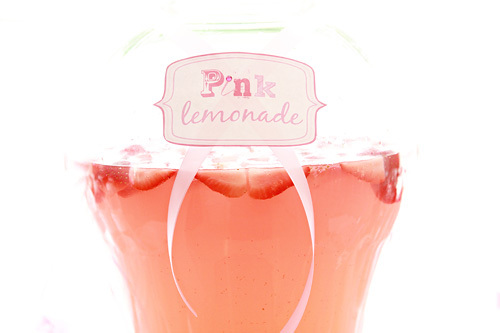 And also your drink holder for the pink lemonade? HI! Thank you so much for the sweet words. I got the glass jars at different places... target, walmart,dollar store. The drink dispenser I got at Dillards. Such a beautiful celebration!!! Love all the details, especially the butterfly catching game! The pic of you and your little girl is priceless. Beautiful! I'm planning my daughter's 1st birthday party and your's blog has been an inspiration. 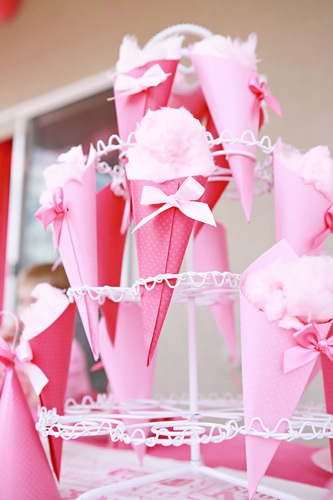 I'd like to make paper cones for cotton candy as you did, any tips! Thanks! It looks like you had a runner on the kids table...do you mind telling me where you found it? Thank you! Hellen, The runner was actually a plastic table cloth that I bought from shindigz.com party supply store online. This party is fantastic!!!! So glad I found you through the mommyista!!! This is toooo cute!!! could you share where you got the Big cupcake liner for the hidrageneas????????? sooo cute! lindsey - this is beautiful! 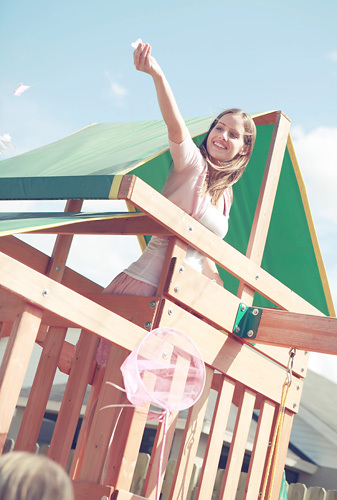 where did you find the white stand to hold the cotton candy? 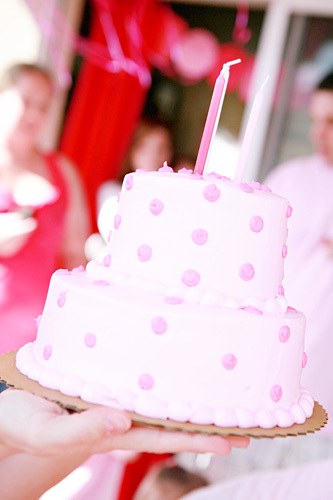 it would be perfect for our ice cream cone cakes..
Adorable! How did you "ruche" the table cloth? Hi! 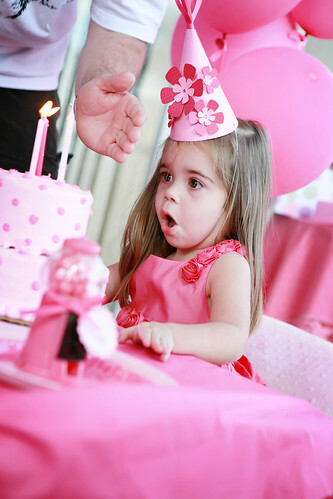 I came across your blog while googling pink birthday party... my daughter like yours is obsessed with pink and all she wants for her 3rd bday is a pink party. I read through the comments and you mentioned purchasing the digital designs... I also read you are taking a little break from blogging but could you please let me know how to purchase. I wouldn't want to change anything except the name. My email is sarah.nasim@gmail.com... I really look forward to hearing from you. Thanks! red dressOf course, we could have more creative style. red dresses the official style.Well, that it's so useful, every day. Love the party! So cute! Where did you get the white stand for the cotton candy? I've been looking for something like that! Hey there, You've done an excellent job. I will certainly digg it and personally suggest to my friends. I am sure they'll be benefited from this site. This is absolutely AMAZING! It brought tears to my eyes. Your girls are truly blessed. The butterflies were perfection. Adorei o seu blog, uma verdadeira delicia! Happy Birthday to the BEST mother-in-law! FEATURED on HOSTESS with the MOSTESS!